The trip started at the Roman Amphitheatre in Caerleon. It was 2000 years old but definitely still beautiful. What I enjoyed most about the entire tour was that we were given free time. A common misconception I think people have about tours is that there is no free time for participants to explore on their own. Or even worse, that there is an extremely tight schedule and a constant feeling of being rushed. However, Proscenium did not give off this impression whatsoever. The tour guides spoke and were highly entertaining and informative. Susannah provided interesting information about each location we went to. Then, everyone was given time to explore on their own. After Caerleon, we travelled to Caerphilly Castle, the second biggest medieval castle in Western Europe and then to St. Fagan’s, which was a heritage park of Welsh life. It was all lovely. Unfortunately, the sun didn’t come out much for us when we were there but I still found it wonderful. The second day we went to the Big Pit Mining Museum, which was one of the most unique museum experiences I have ever embarked on. It turned out to be one of the coolest things I’ve ever seen. All of the miners gave real stories of their life working underground and I was so glad I got to experience it. The last stop we made was to Tintern Abbey in Wye Valley, which was a tranquil ending to the weekend. All in all, I thought that Proscenium carried out their tour in a very organized, relaxing but also exciting way. I felt at ease the whole time and enjoyed myself. I am looking forward to the next tour that I will be attending. Rangi Visit World Reknown Rada! This Spring Rangu Ruru Girls’ School came all the way from Christ Church New Zealand came to England to be immersed in British drama, culture and history. Led by their dram teacher Robert Gilber, English teacher Erin Fitzpatrick and headteacher, Jule Moor, the theme of their tour was all thing theatrical and combined performance, workshops and backstage tours for a truly hands on experience. 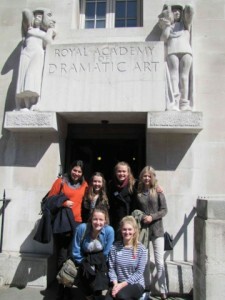 For the most dedicated drama students, a workshop at RADA was a must. The Royal Academy of Dramatic art has trained and nurtured such talents as Anthony Hopkins, Ian Holm and more recently Ben Wishaw. The Rangi Ruru girls, aspiring to these heights were ready to take on the challenge of an intensive 3 hour acting technique workshop with one of the RADA tutors. Rangi Ruru also had the opportunity to visit the National Theatre for a backstage tour that explored the inner workings of this versatile theatre space. 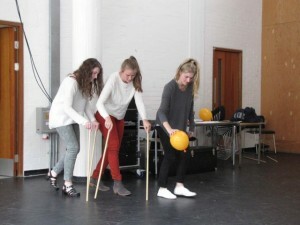 Dedicated to new works and innovative productions this was a fitting backstage tour for the girls who later would be seeing Warhorse, a production that was first devised in the adjoining National Theatre Studios. 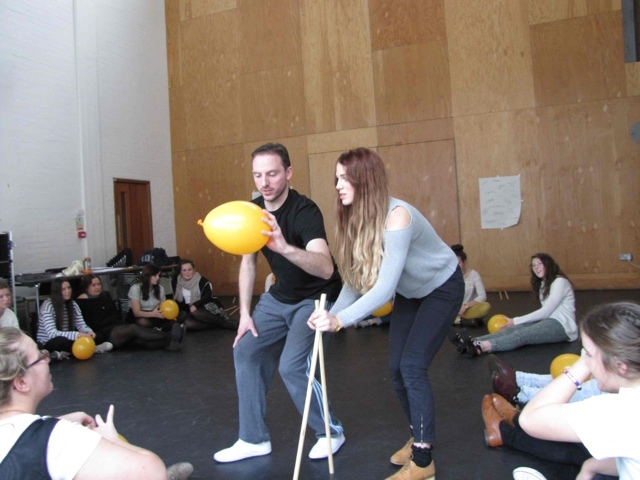 For drama teacher Rob Gilbert, the girls experience in London was all about hands on experience rather than watching life from an armchair, so the tour was paired with a puppetry workshop. 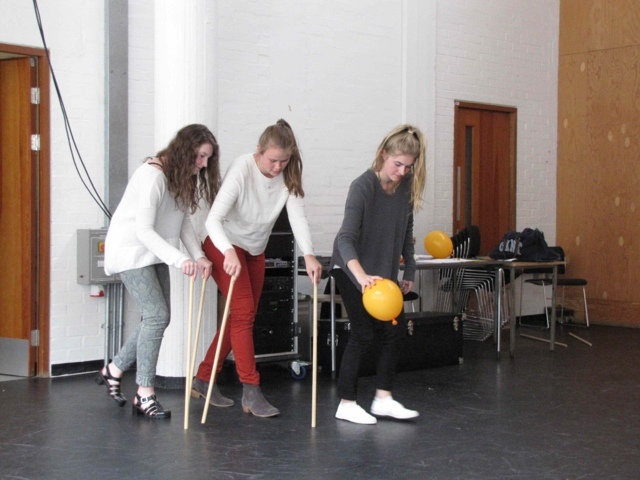 Students made their own “warhorses” with balloons and sticks and then had to perform in pairs, working together to create living creatures from their inanimate models. This culminated in the an evening performance where they could see all the magic come together as the horses they had seen in the backstage prop store, became beautiful living creatures with all the subtlety and psychology of real horses. Working hard in the daytime to learn all they could about British culture, history and theatre, in the evening Rangi Ruru were finally given a chance to sit back and enjoy the show. With more then forty five theatres in the West End alone one can easily see why London lays claim to being the theatre capital of the world. 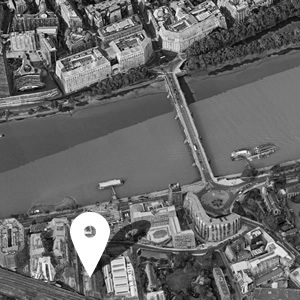 For many London is the place where theatre really began and Rangi Ruru were her to take advantage of every second seeing award winning performances of The Curious Incident of the Dog in the Night, Othello with Adrian Lester opposite Rory Kinnear, and the record breaking Les Miserables to name just a few.